When Henry Ford built the legendary Rouge manufacturing complex near the city of Detroit in the early 1900s, it was a model of modern manufacturing efficiency. Raw material – iron ore, coal, limestone and the like – entered one end of the complex, and automobiles drove out of the other. It was amazing and unprecedented; Ford changed the manufacturing paradigm for ever. Worldwide thinking about resources and manufacturing is evolving in a similarly dramatic way. We know that we must consider the entire lifecycle of a product if we are to fully understand and address its environmental impact. That means how the product is made, how it’s used, where the materials come from and what happens after the consumer is done with it. Sustainable materials management (SMM) is an approach that looks for the most productive and sustainable use of materials across their lifecycle. There are various approaches around the world that share similar principles, such as the Kobe 3Rs and the circular economy. SMM strives to reduce the amount of materials used and minimize their environmental impact. Using the right materials for the right purposes will have transformative power, just as Henry Ford did a century ago. If Henry Ford had tried, in those early years, to understand the environmental consequences of making cars, he would have found it easier than we do today. After all, he owned a lot of resources – forests, mines, quarries, freighters; even a regional railroad and a Brazilian rubber plantation. Ford made his operations as efficient as he could. Supply chains and webs, the systems that supply the materials to make products, have grown significantly in both size and complexity. 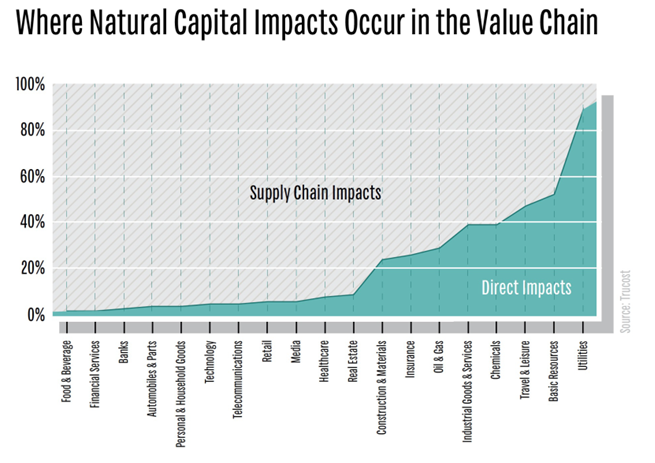 This makes it increasingly difficult to understand supply-chain materials and the effect they have on the environment. By looking at the products and services we use through a “lifecycle” lens, we’re discovering that for many sectors the most significant impact is in the supply chain. It’s here we see the most greenhouse gas emissions, water use and energy use. However, many sustainability and resource efficiency efforts are focused on manufacturing. The time has come to move beyond this and consider the entire lifecycle of a product. Ford didn’t come up with his revolutionary manufacturing process by himself; he had a team of experts to help. The same is true for SMM. On an international level, last year the G7 nations – Canada, France, Germany, Italy, Japan, the United Kingdom and United States – established the Alliance on Resource Efficiency . It’s a matter of urgency because material use has increased as our economies have grown over the decades. The Alliance is mobilizing governments, businesses, academia and NGOs to share best practices and facilitate innovation in advancing a more efficient approach. Like Ford a century ago, we are more likely to achieve our goals through lifecycle thinking. With global supply webs and international commerce, it's work that must be done collaboratively. As G7 leaders have emphasized, the stakes are high but the rewards could be great, with future generations benefiting from our efforts. I think Henry Ford would be proud. Through a series of face-to-face workshops, the G7 Alliance aims to create an information network where innovative thinking and experiences can be shared. Later this month, in Washington, DC, leaders of public, private and non-profit sectors will gather to share success stories in managing supply chains in a more sustainable way. The workshop will explore how to scale up, replicate and transfer helpful SMM practices between sectors. The car-making sector is being used as a case study because it bridges the manufacturing and service economies. It also works directly with its supply chains, which are worldwide and contribute significantly to global GDP.